I’ve been thinking about the skills and character traits necessary to succeed in school, work, and life. There are a lot of perspectives on which are most important, but certain skills turn up on almost every list: reading and communication skills, teamwork skills (the ability to work well with others), critical thinking and decision-making skills, and personal qualities like grit, optimism (or a positive attitude), and the ability to handle stress. Out of many articles and lists on the subject (not all clearly thought out or well-explained) here are three different ways to look at the skills and traits that can help us (and our children) be successful in life. 1. Nine Skills that Will Help Make Our Children Future-Ready in the very different world they will find when they grow up. The author encourages teaching kids to love to learn and to understand how to learn new skills and information, how to communicate, set goals, and deal with complex new situations and people with an open mind. He feels teaching these skills is far more important than concentrating on current job skills and knowledge. 2. Life Skills Successful, Happy, and Healthy People Have in Common discusses personality traits that research has shown contribute to happiness and well-being: conscientiousness, optimism, grit, emotional stability, & control. The good news is that these traits are not set from birth, but are ‘life skills’ that can be learned and practiced, so that anyone can acquire them and enjoy their benefits. 3. 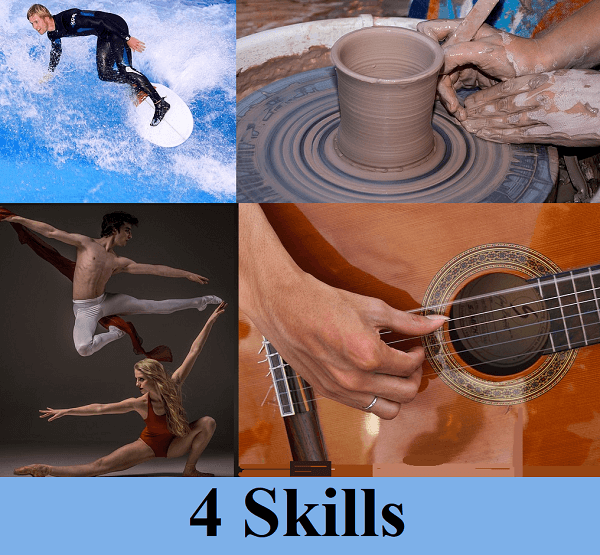 12 Universal Skills goes into more detail about skills everyone needs to succeed in everyday life: learned abilities like setting priorities and managing our time, space and money; thinking critically and making good decisions; practicing self-discipline; and learning to relax. Here’s a crossword puzzle to practice skills vocabulary from these reading selections and here are its answers. Hope you enjoy it!